Nature puts its best face forward here in the heart of the Alps. Surrounded by steep rock faces and impressive peaks, gentle lowlands nestle in the midst of a rock mass that over the years has become famous well beyond the borders of this country – the Dolomites. 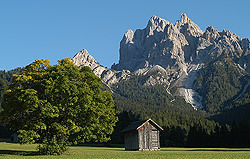 The variety of species of flora and fauna that singles out this unique holiday region, its imposing mountain scenery and, in comparison with the northern Alps, the comparatively mild climate, make the Dolomites area one of the best loved holiday regions in South Tyrol. Enjoy romantic walks through lush green meadows, leisurely rambles between alpine huts, or climb from the picturesque valleys up to the legendary mountaintops – a dream for every hiker, clamberer and climber. Alongside numerous additional sports and leisure activities such as mountain biking, tennis, swimming or paragliding, the realm of the “Pale Mountains” offers plenty to interest its visitors, above all in winter. For those who are not afraid of a bit of physical activity in the colder months of the year, this is exactly the right place. Snow-lovers can let off steam by cross country skiing, alpine skiing or snowboarding. And for those who prefer tobogganing, there are several enticing toboggan runs available. Those who prefer to take things a bit more easily can enjoy the unique beauty of the area on wonderful back country skiing tours in the snowy winter landscape – an ideal chance to forget everyday life and to leave your cares behind you. And if, with such a varied range of activities, you still have some free time to find out about South Tyrolean culture, then there are some really special features. Above all, you’ll be enchanted by the Ladin people with their friendly manner and ancient language. The Ladin people are one of the oldest and smallest linguistic groups in the province. All in all the Dolomite holiday region offers its guests a varied and interesting range of holiday activities all year round. Sporty types, guests looking to relax and culture lovers will feel right at home here in the midst of the breathtaking Dolomites scenery. 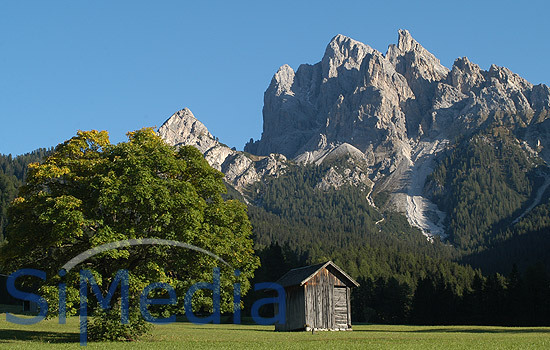 There is no place which is more suitable to relax and rest the mind than amidst the natural and cultural landscape of the South Tyrolean holiday village San Martino in the Val Badia / St. Martin in Thurn. 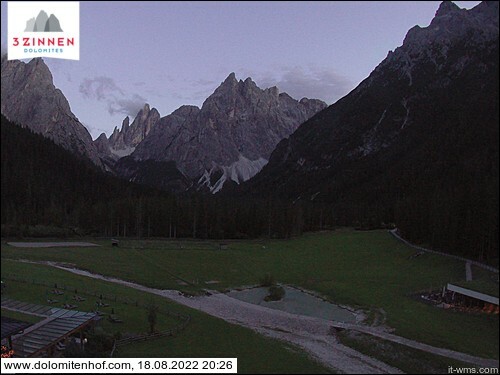 Activity and recreation from morning to night expect you in the holiday village San Vigilio di Marebbe / St. Vigil in Enneberg in the Val Badia. Restorative, tranquil and adventurous: the charming village Perca and its surrounding landscape bring you to take jaunty hikes and to enjoy breath-taking panoramas – an ideal place to rest your mind. A stay in the charming holiday village Gais – Villa Ottone in South Tyrol does not only attract those guests who are looking for recreation. Chienes in South Tyrol – it is a guarantor of an unforgettable vacation surrounded by intact nature which inspires the young and the young at heart. Surrounded by the majestic mountains of the Val Anterselva and the Val di Fundres on the so-called sun terrace of the Kronplatz region lays the picturesque village called Falzes / Pfalzen. The village Terento / Terenten in the holiday region Kronplatz is an oasis of tranquillity amidst dreamlike nature. 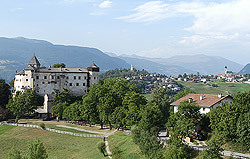 The young and the old can expect pure enjoyment during their holiday in the village Monguelfo / Welsberg in South Tyrol. The magical holiday destination Val Casies / Gsies in South Tyrol offers its visitors everything a holiday maker might wish for. Rasun / Rasen in the holiday region Kronplatz – a holiday area which will captivate you too. In summer and winter alike the valley Anterselva / Antholz in the holiday region Kronplatz is the perfect destination for a recreative and at the same time exciting vacation in South Tyrol. No vacation day goes by without having a great time in the magical town Brunico / Bruneck in South Tyrol. In a place like Riscone / Reischach athletes as well as nature lovers feel fit as a fiddle. The village Villabassa in the holiday region Alta Pusteria offers everything you might wish for and it provides all that ambitious guests need for a real dream vacation in South Tyrol. When spending your holidays in Braies you will experience recreation, relaxation and you can disconnect from day to day worries. In the heart of the holiday region called Alta Pusteria valley which is rich in tradition lays the lovely village San Candido. The idyllic holiday destination Dobbiaco in South Tyrol is located on 1.256 meters above sea level. Lush meadows and dense forests nestle up against the charming holiday village Valdaora in Val Pusteria. Welcome to Sesto in the Alta Pusteria valley in the “land of the Tre Cime di Lavaredo”.